Thanksgiving is my favorite holiday. My family is Jewish so though my parents used to do a huge party on Christmas Eve, for my extended family, Christmas wasn’t a big deal. But Thanksgiving is when everyone got together and all the crazies come out of the woodwork and it’s fun having the whole family together. There’s anywhere between 10 and 20+ of us that show up. We also do a big dinner for Passover in March/April but food is much better for Thanksgiving. My cousin currently hosts. 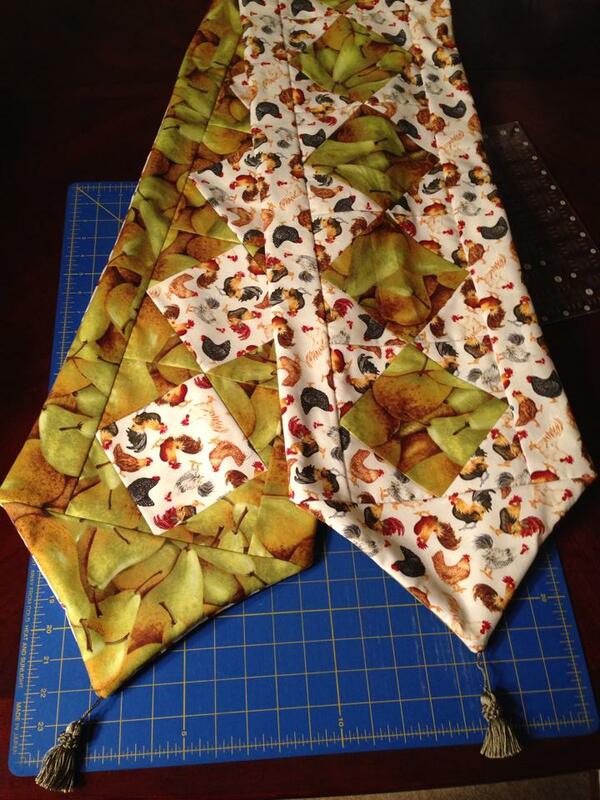 He is obsessed with roosters and pears and requested a table runner of such. I took a class with Anita Grossman Solomon a few years ago, who is an amazing teacher. She believes in finding ways to only make a few cuts with your rotary cutter and everything magically gets cut. I have 2 of her books and so many of those projects are on my list. 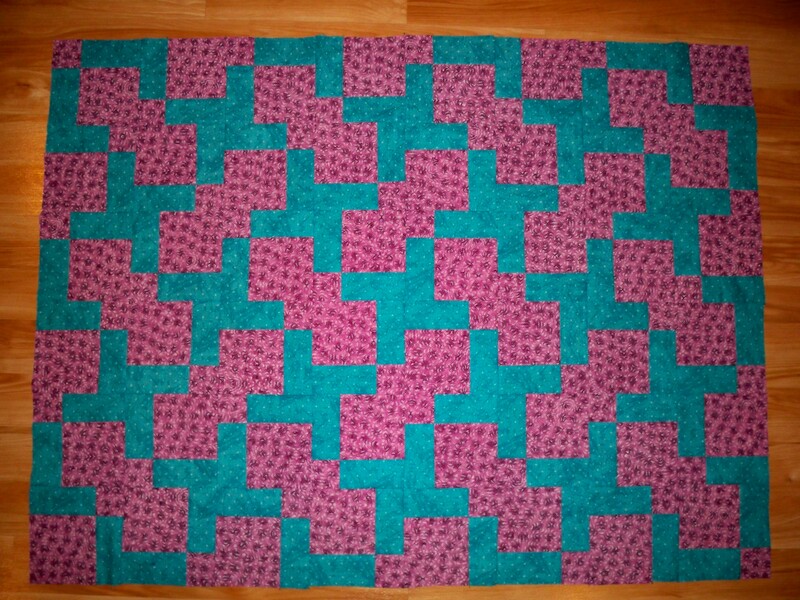 For the table runner, I decided to do a Square-in-a-Square block. I followed her technique detailed here for how to quickly cut the pieces with almost no waste. It was so fast and easy to do (though I don’t stack my fabric as high as hers). I decided to make the table runner reversible since I couldn’t decide which fabric to feature in the square and which on the outside. I added the little curtain danglies to give it a little something extra. I have a tendency to see a new pattern or technique and “need” to make it, finish the top, see something new and go try that. I end up with a lot of finished quilt tops that I don’t love for one reason or another. When I lived in Tucson, the tops just accumulated in the quilt closet. When I moved to Seattle, I couldn’t take everything with me, so I went through a huge stash purge. 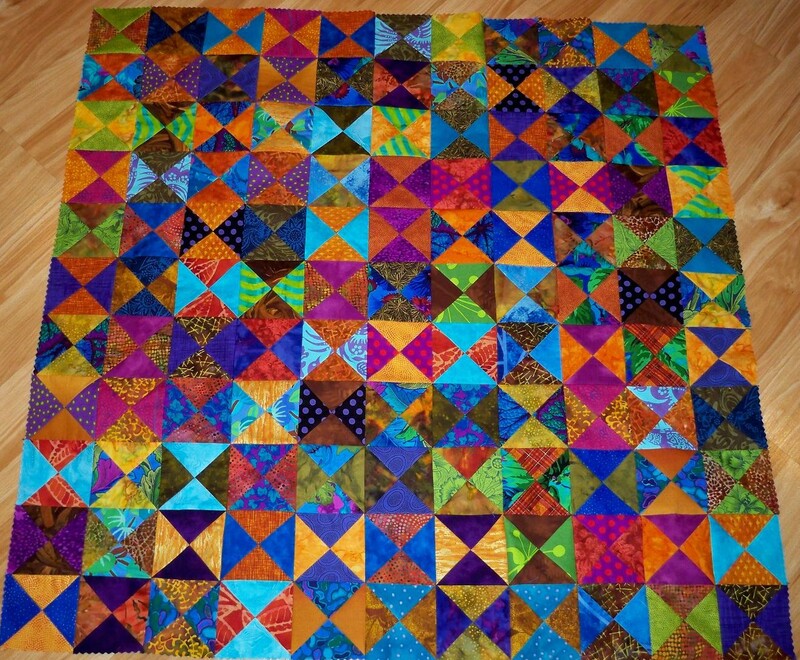 I filled up my Beetle twice with quilt stuff, brought it to my Wednesday quilt group, and said “take what you want. I’m not taking anything back”. 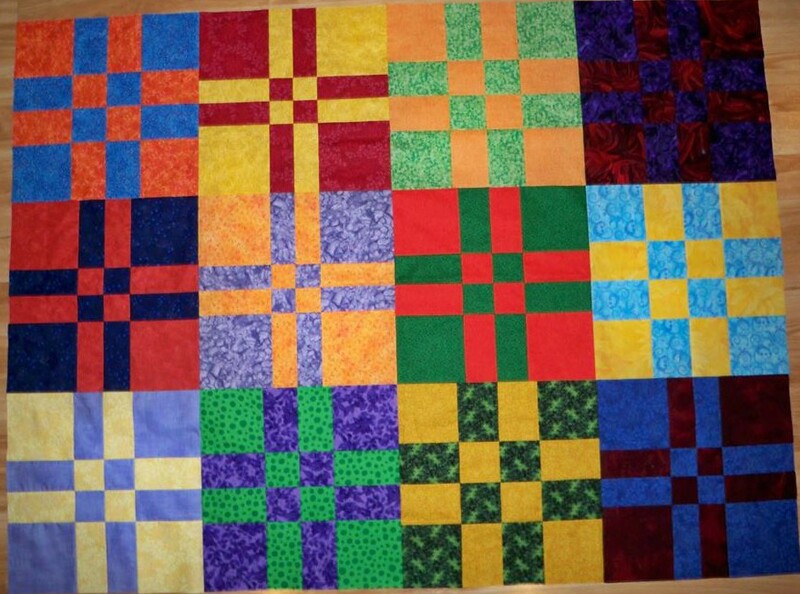 A lot of the group participants make quilts to donate (hospitals, women and children’s shelters, etc), so it made it easier to part with so many of my investments. Here are a few tops that were given away. 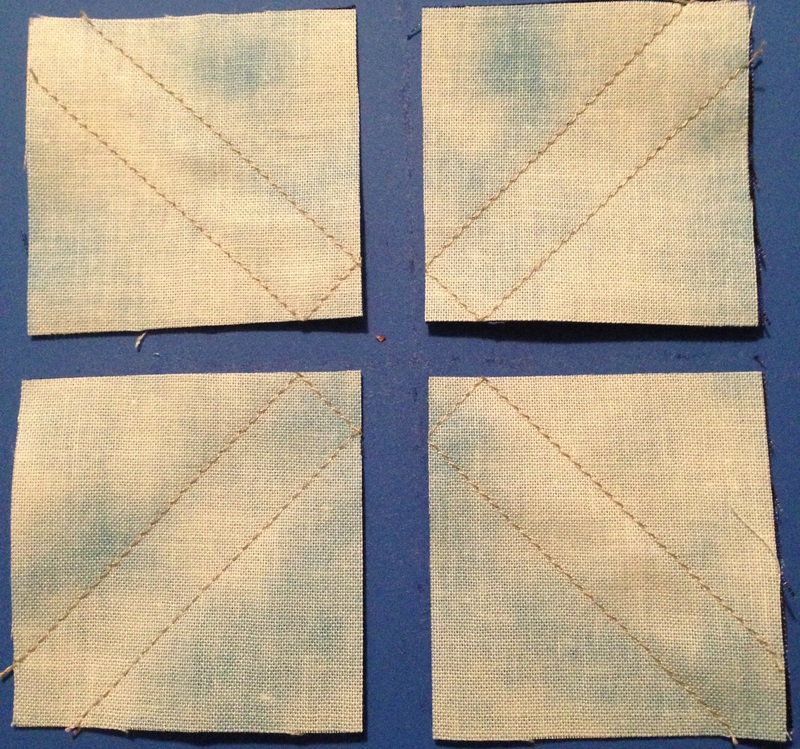 This first one was me testing out a technique where you make 4 at a time HSTs. 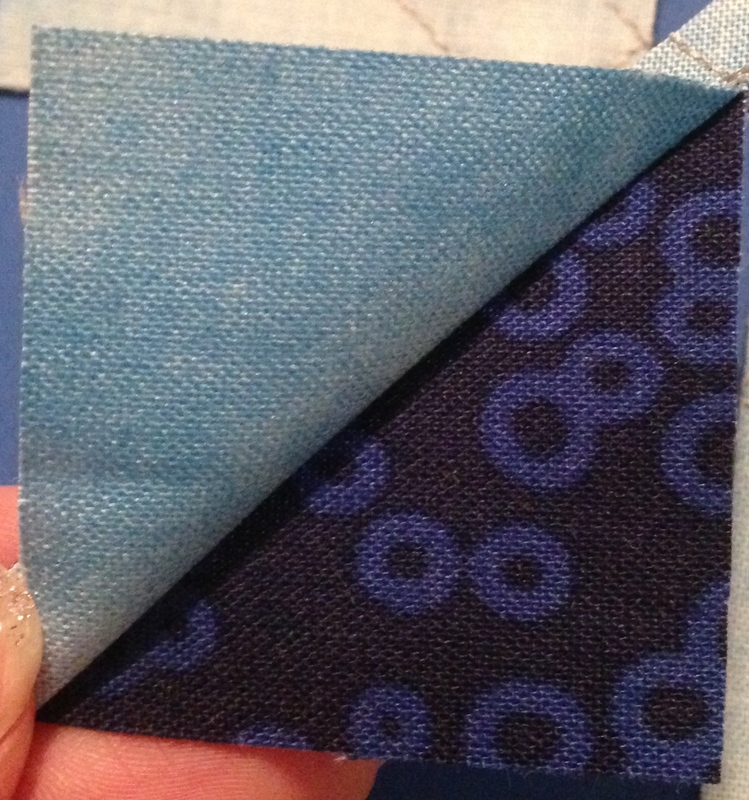 You put two charm (5″) squares together, sew around the perimeter, then cut on both diagonals. 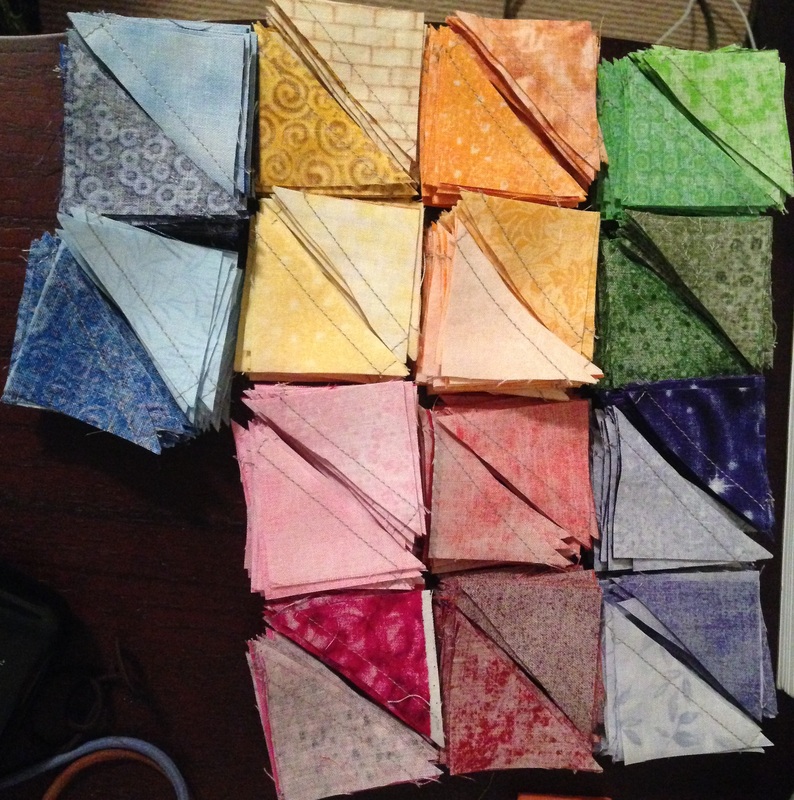 Tada – 4 HSTs. The problem is that all of the edges are bias edges and stretch like crazy. If you do want to do multiple HSTs at a time, I recommend that 8 at a time method that I talked about here. You don’t end up with the bias edges. 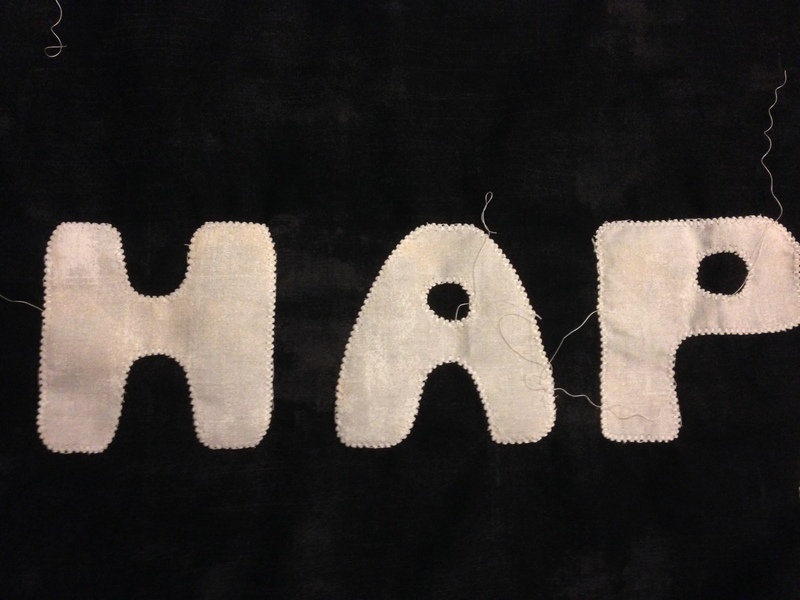 The quilt’s working name was “Bias Edges From Hell”. 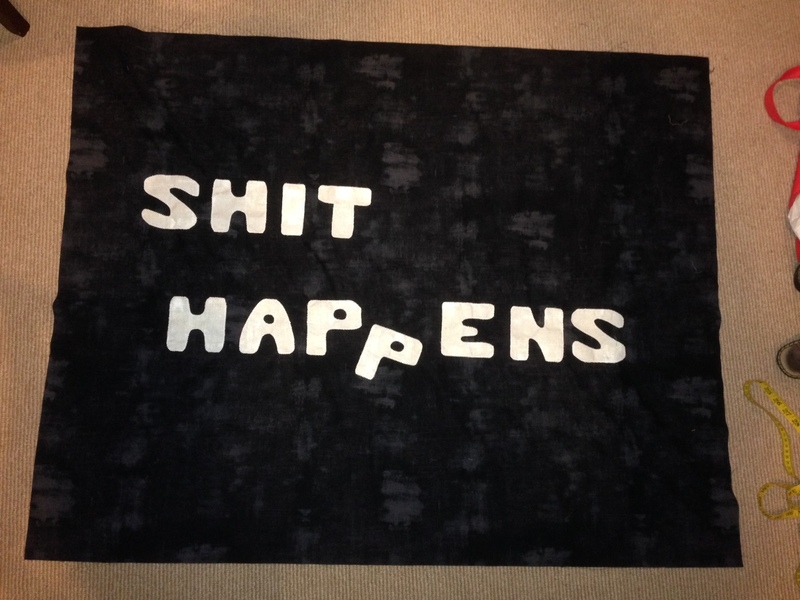 It was a pretty quilt, but I was so annoyed with it that I wanted it gone. I spent a tax season working at H&R Block. During one of the trainings, I sketched out a quilt. I used a Shoo Fly block with the center also being a HST. 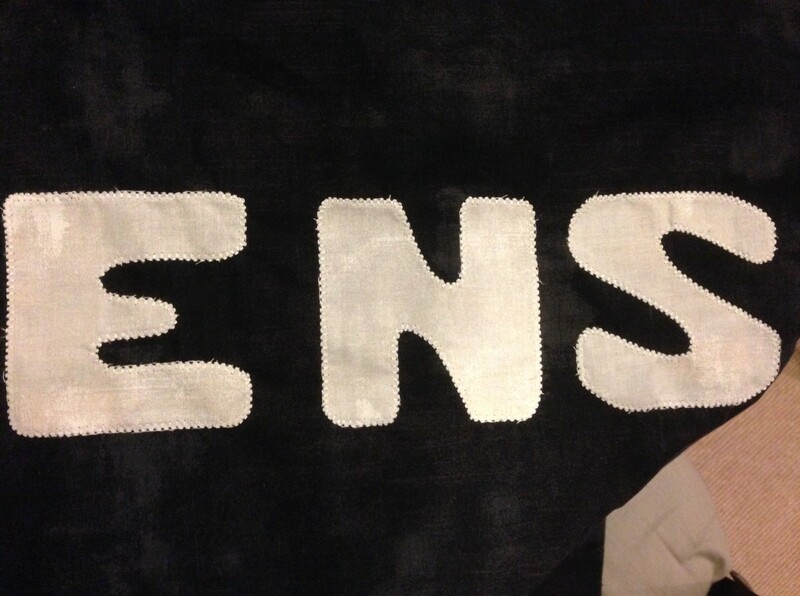 With the colors and no sashing, it looks a lot more complicated than it was. I had been wanting to try the “Disappearing” blocks. The idea is you make something, cut it a certain way, turn certain things, and resew, and it looks complicated when it’s pretty simple. I started with the Disappearing 9 Patch. 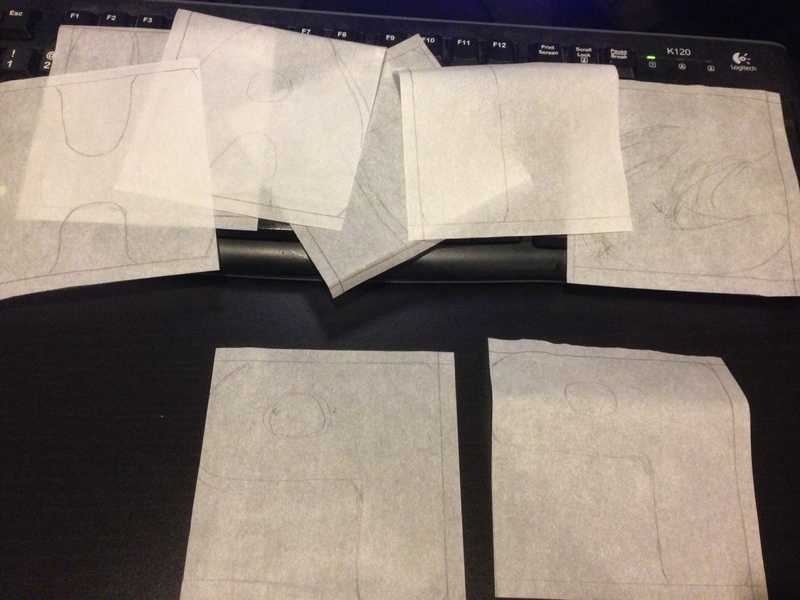 To do the D9P, you sew a 9 patch block (3 x 3 grid of squares) then cut it into quarters. You rotate 2 opposite blocks and have your D9P block. I used 2 colors in this one to see how it would look. Usually you see more colors in the blocks. Next up, a Disappearing 4 Patch (D4P). With a D4P, you make a 4 patch (2 x 2 grid of squares) then make 2 (equally spaced from the center) cuts on each side to get 9 blocks (so basically the opposite of the D9P). You then rotate every other piece to create the effect. And if you vary the cuts, like I did, you get different looking woven blocks. And here’s mine, playing with different shades of the primary and secondary colors. Last one, I received a charm pack with instructions for making the hour glass block. 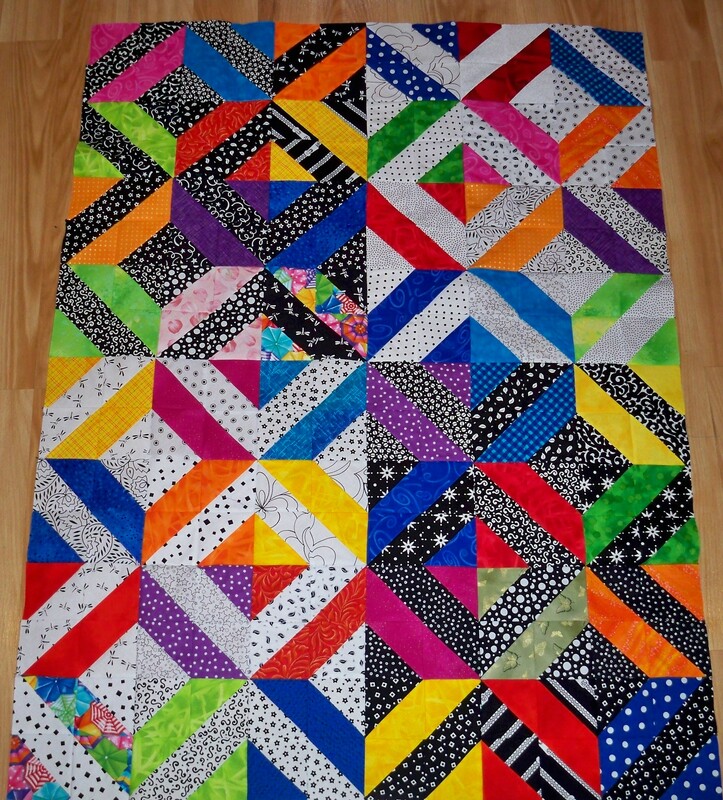 It was another technique/trick quilt where you sew a few things first, then cut, and your blocks appear. It was so long ago, I don’t even remember exactly what I did. 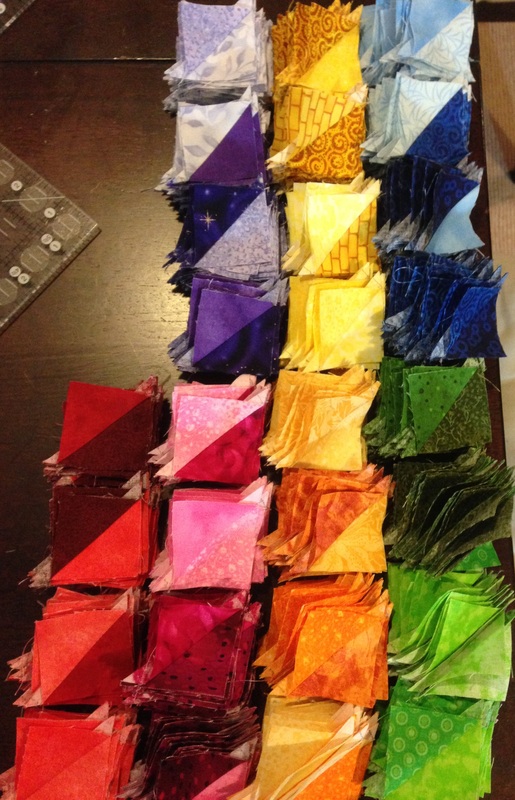 Tetris update – HSTs galore! A few posts ago, I put up the block design, which is a square with 4 trapezoids. The actual assembly of the block has quite a few more pieces, to make it easy to assemble. 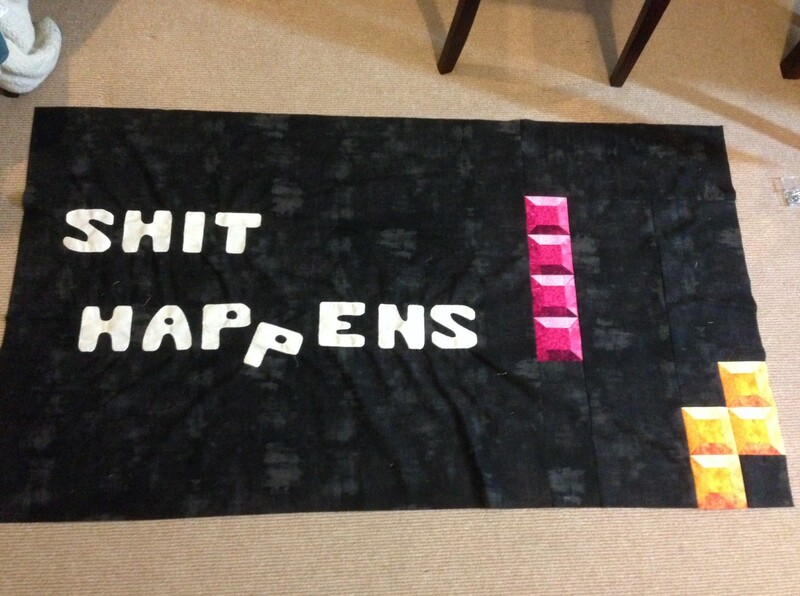 So it’s actually 1 square, 4 rectangles, and 4 HSTs. 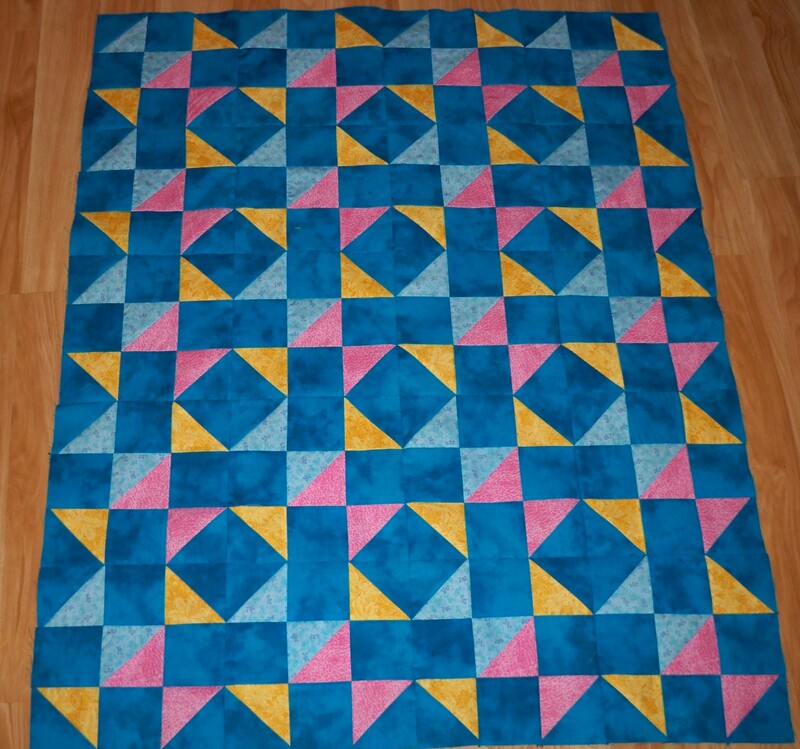 And the quilt has 188 blocks (47 Tetris shapes times 4 blocks per shape) = 752 HSTs. 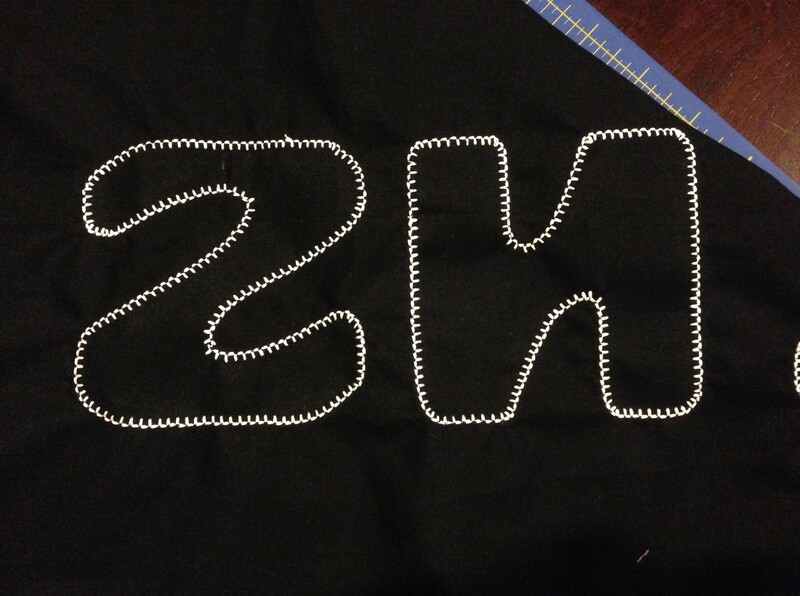 Oh, and the finished block is 4″, so each HST is only 1″. 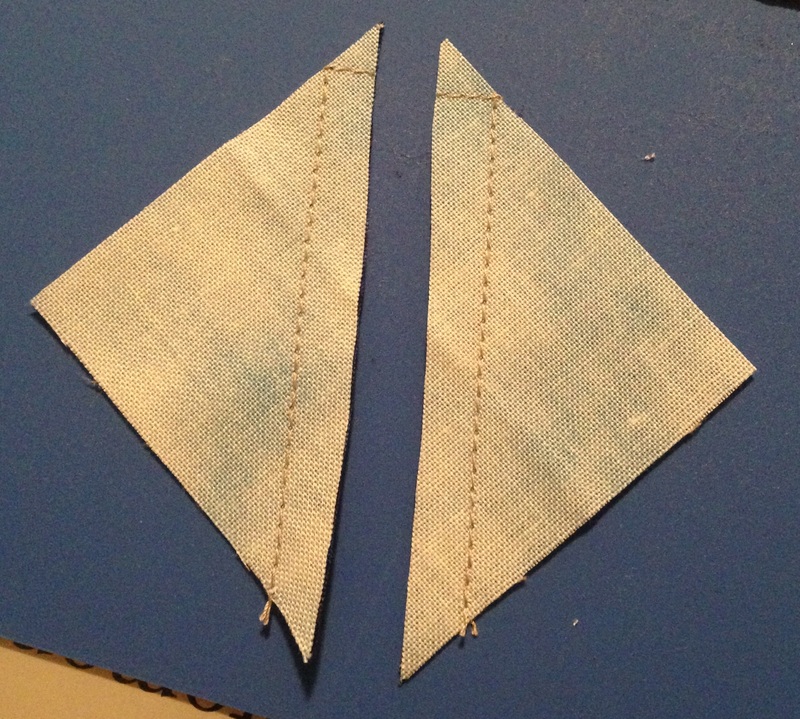 The typical way to make HST is to make them 2 at a time. However, there is a really cool method to make 8 at a time. 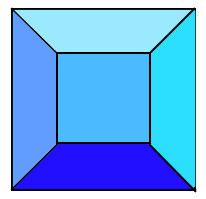 You start with a large square (“large” being relative in this case, since it was only 4″). 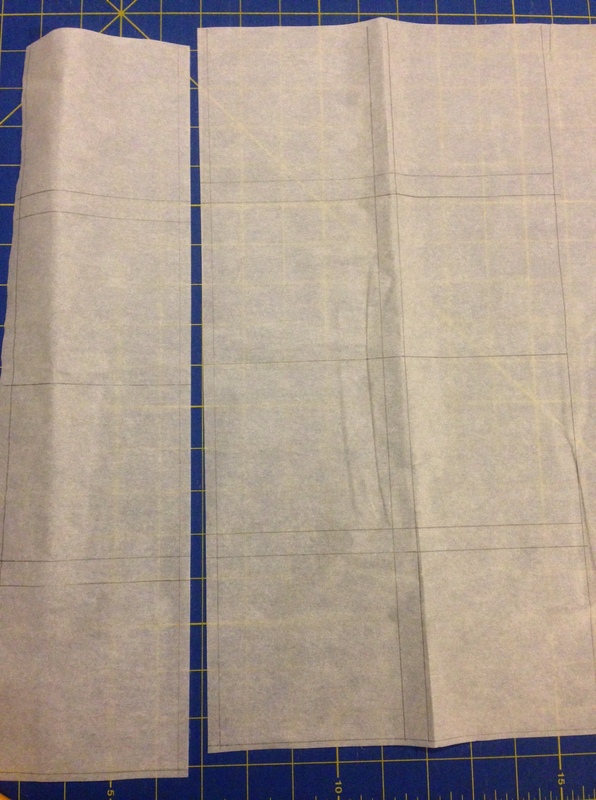 Then you sew 1/4″ on either side of both diagonals, like this. 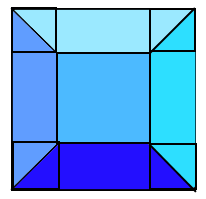 Once you do that, you cut the square into quarters, using the line intersections as a guide. Lastly, you press them open (this one hasn’t been pressed yet). 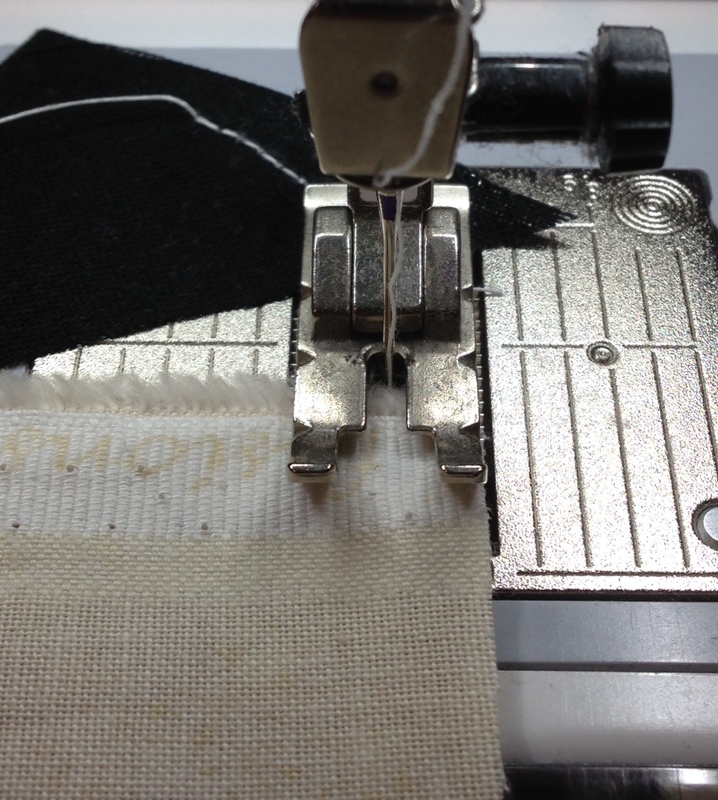 And since I want all of my seams to nest, which fabric gets pressed which direction is important.